The Japanese nuclear regulator has approved the Japan Atomic Energy Agency's (JAEA's) plans for decommissioning the Monju prototype fast breeder reactor (FBR). JAEA submitted the plan - which had earlier been approved by a government-appointed team - to the Nuclear Regulation Authority (NRA) in December last year. A key part of Japan's nuclear energy program, the 280 MWe Monju FBR in Tsuruga City, Fukui Prefecture, initially started in 1994. However, it was shut down after just four months when about 700 kilograms of liquid sodium leaked from the secondary cooling loop. Although there were no injuries and no radioactivity escaped plant buildings, this was compounded by operator attempts to cover up the scale of the damage. It eventually restarted in May 2010 but has not operated since refuelling equipment fell into the reactor vessel during a refuelling outage later that year. The equipment was subsequently retrieved and replaced but the NRA did not permit the reactor to restart. In November 2015, following concerns over equipment inspections, the NRA determined JAEA was not competent to operate the reactor. In December 2016, the government formally announced its decision to decommission the idled Monju reactor. The government appointed a team to coordinate the decommissioning of Monju comprising representatives from the Cabinet Secretariat; JAEA; the Ministry of Education, Culture, Sports, Science and Technology; and the Ministry of Economy, Trade and Industry. In June 2017, the team adopted the government's basic policy for the reactor's decommissioning and approved JAEA's basic plan to carry it out. JAEA plans to establish a system and organisation for safely decommissioning the reactor within 30 years using the latest Japanese and international technologies and expertise. 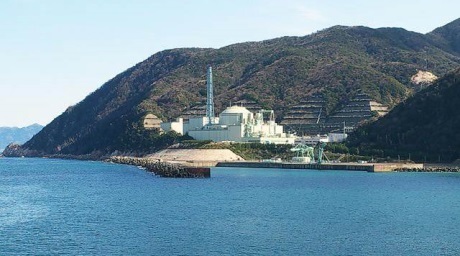 JAEA submitted a more detailed plan to decommission Monju, in line with the government's basic policy, to the NRA on 6 December. The plan comprises four stages. In the initial stage, JAEA will transfer all fuel to an on-site storage pool by fiscal 2022. In the second and third stages, the liquid sodium coolant will be extracted from Monju and related equipment will be dismantled. The reactor building will be demolished and removed by fiscal 2047 in the final stage. The NRA has now approved JAEA's plan. According to the Yomiuri Shimbun, JAEA is now set to begin work to remove the fuel from Monju in July. The decommissioning of Monju will cost more than JPY375 billion (USD3.5 billion), the government estimates. This includes JPY225 billion for maintenance, JPY135 billion for dismantling the plant and JPY15 billion for defuelling and preparations for decommissioning. JAEA said today that it plans to launch a new department at Tsuruga on 1 April dedicated to developing decommissioning technologies for use at Monju and the Fugen experimental Advanced Thermal Reactor, which ceased operating in 2003.